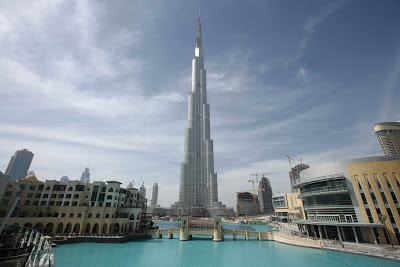 Interesting Facts About Burj Khalifa | Do You Know? 1. Standing at 2,723 feet, the Burj Khalifa in Dubai beats out the next-tallest building in the world by more than 1,000 feet. The Burj Khalifa is roughly three times the height of the Eiffel Tower, 15 times the highest point at Niagara Falls and almost twice as tall as the Empire State Building. 2. The Burj Khalifa isn’t just the tallest building in the world, it holds a bevy of records. It’s the tallest free-standing structure, has the highest occupied floor, and boasts the most stories of any building on the planet. It also has the highest observation deck anywhere. 3. The design is an abstraction of the Hymenocallis, a flower that has long petals that extend from its center. The flower is found in tropical and subtropical spots around the world, and its name means “beautiful membrane” in Greek. 4. The actual construction of the building was done by a South Korean company, Samsung Engineering and Construction. 5. 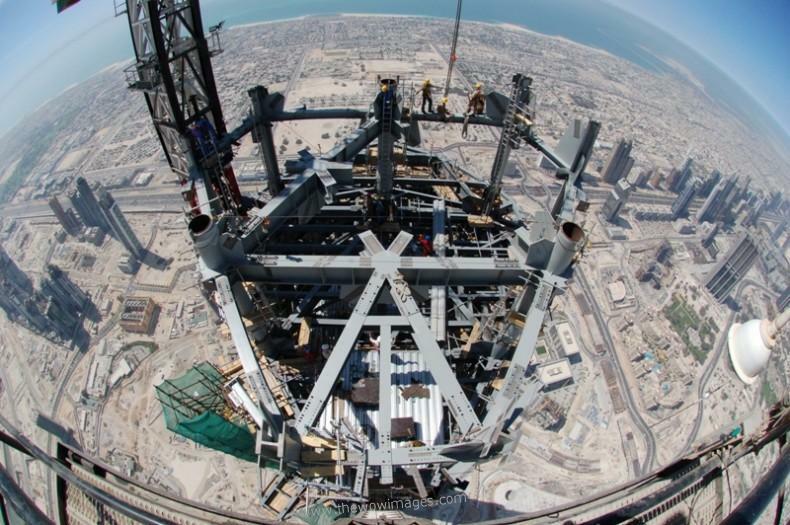 It took more than 110,000 tons of concrete, 55,000 tons of steel rebar, and 22 million man-hours to complete the Burj Khalifa. 6. The building’s exterior is made up of 26,000 individually cut glass panels. More than 300 cladding experts from China collaborated on the Burj Khalifa’s cladding system, which was designed specially to withstand the heat of a Dubai summer. 7. 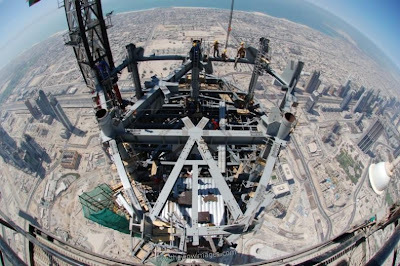 For the Burj Khalifa, 36 cleaners board, 12 13-ton machines that move along tracks attached to the outside of the building, at heights of 20,000 feet. 8. The Burj Khalifa is supplied with an average of 250,000 gallons of water every day, and can reach an electrical demand equal to that of 360,000 100-watt bulbs burning at once. 9. Cost of construction of Burj is about $1.5 billion and it is part of downtown Dubai's $20 billion redevelopment program. 10. The name of the tower was changed from Burj Dubai to Burj Khalifa at the last minute in honor of Sheik Khalifa bin Zayed al Nahyan, ruler of Abu Dhabi, and in recognition of Abu Dhabi providing Dubai $10 billion in December 2009 to bail out Dubai's bankrupt sovereign wealth fund. 11. Construction of Burj Khalifa began on Sept. 21, 2004. 12. More than 12,000 people will occupy the building's 6 million square feet. Residential apartments number 1,044. 13. Special amenities include a 15,000 square foot fitness facility, a cigar club, the highest mosque in the world (on the 158th floor), the highest observation deck in the world (on the 124th floor) and the highest swimming pool in the world (on the 76th floor), as well as the first Armani Hotel in the world. 15. The building was designed by Chicago's Skidmore, Owings & Merrill and developed by Dubai's Emaar Properties. 16. Burk Khalifa has the World’s highest elevator installation and also World’s fastest elevators at 18 m/s compared to previous of Taipei 101 which was 16.83 m/s. 17. The double-deck elevators are equipped with features such as LCD displays for the visitors during their way to the observation deck. 18. 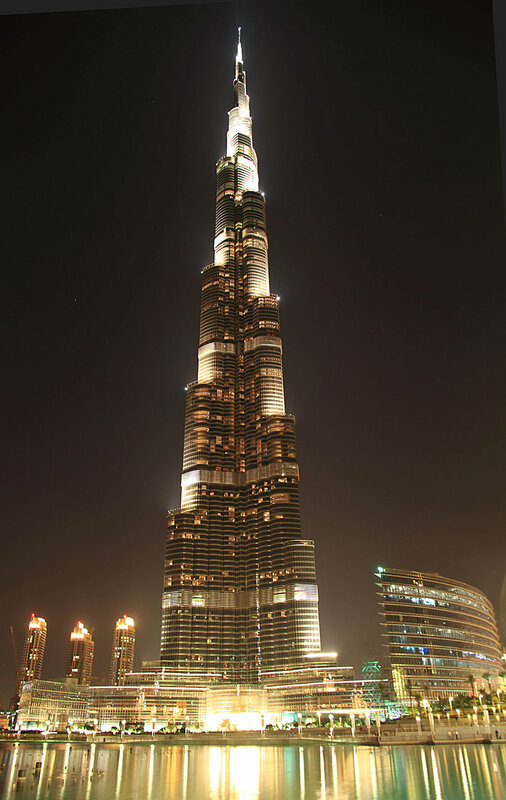 Burj Khalifa has 2,909 stairs to be precise from the ground floor to the 160th floor. 19. Burj dubai is surrounded by a 27-acre park which has a design inspire by the design concepts of this building and is called “Burj Khalifa Park”. 20. Just outside the Burj Khalifa there is the beautiful “The Dubai Fountain” which shoots water at about 490 ft into the air, followed by a series of classical and contemporary Arabic as well as world music. 21. At the time of New Year, the amazing and breathtaking display of fireworks that take place at Burj Dubai is worth an experience. 22. Also, it includes World’s highest nightclub at the 144th floor, and is said to be one of the most amazing nightclub’s of the world.